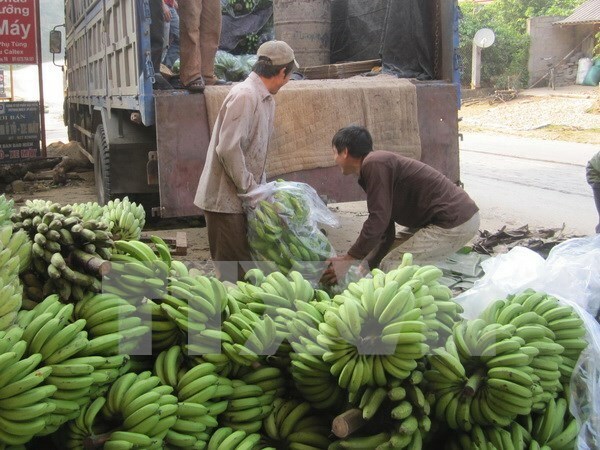 Hanoi (VNA) – Vietnamese banana exports have soared in recent years, with hundreds of tonnes shipped overseas per day at times. A small amount of Vietnamese bananas arrived in Japan earlier this year. The fruit was sold in Don Quijote stores in late April and AEON shopping malls in early September. Experts said Japan, which consumes about 1 million tonnes of bananas annually, has high demand for the fruit from Vietnam. The Philippines is currently the source of 85 percent of imported bananas in Japan. However, local importers want diversity in supply. They said Vietnamese bananas are sweet, suitable to Japanese taste, and priced competitively. If accepted by a demanding market like Japan, the fruit will be more likely to enter several markets, particularly the Republic of Korea. Vietnam’s major weakness in banana exports is preservation work below international standards. The Philippines is Vietnam’s biggest rival in the field. Some experts said the Philippine fruit has lower quality and higher prices than Vietnam’s but has an almost flawless appearance. Measures to boost banana exports include planning large-scale plantations and investing in post-harvest processing.